At 9:44 p.m. Sunday evening Douglas County Fire District No.2 was dispatched to a reported structure fire at 304 Shadow Ranch Lane. On arrival at the scene firefighters reported the heavy smoke and flames coming from the front door and kitchen area of a manufactured home. The owner reported that the fire began in the kitchen on the stove and quickly extended into the cupboards and the wall. The owner and his family safely exited the house after calling 911. The Red Cross responded to provide assistance to the family. DCFD2 crews worked to extinguish the fire in kitchen and living room area and prevent it from spreading to the rest of the house. The house suffered heavy smoke damage throughout. Crews remained on the scene for a while digging through the smoldering debris to cool and remove hot spots in the kitchen and living room. Fire investigators believe the fire started on the stove and caught materials near the stove on fire. DCFD2 responded to this incident with 12 firefighters on 3 fire engines and 1 command unit. They were assisted by the Red Cross, Douglas County Sheriff’s Office and Pacific Power and Light. DCFD2 would like to remind everyone to make sure you keep combustible items away from the stove and oven elements while cooking and to make sure they are turned off when you are finished cooking. With the recent decision by the City of Sutherlin Fire Department to no longer respond to public lift assists, Douglas County Fire District No.2 wanted to clarify that this change will not impact your emergency (911) ambulance services. 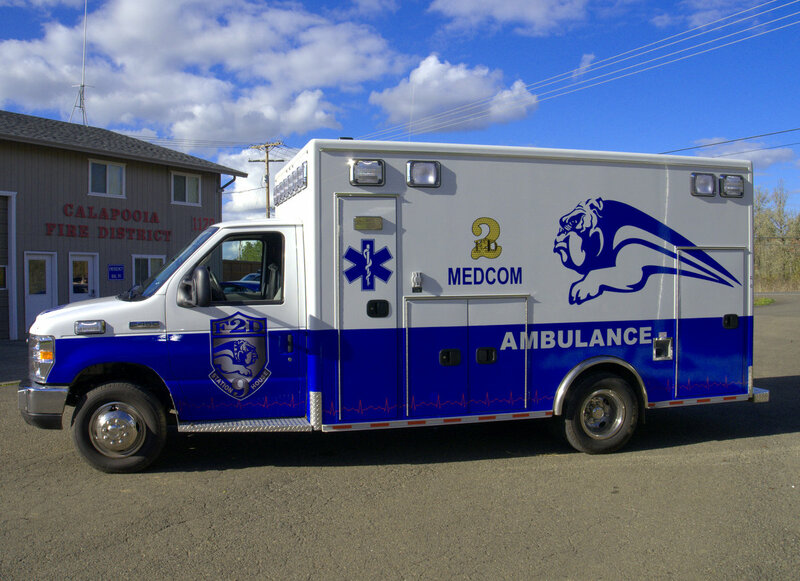 Douglas County Fire District No.2 continues to provide paramedic ambulance services to the citizens of Sutherlin and its surrounding areas. An ambulance crew presently resides at the Calapooia Fire Station located on HWY 138 just west of the freeway, and is staffed 24 hours a day. 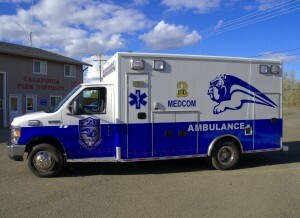 Sutherlin citizens can rest assured knowing that the Douglas County Fire District No.2 ambulance is still on duty and your Fire Med membership is still valid towards emergency ambulance transport and emergency medical care. If you have further questions regarding Sutherlin’s decision to not respond to public lift assists you can call Sutherlin City Hall 541-459-2856, or the Sutherlin Fire Department 541-459-1394. If you have further questions about ambulance services or Fire Med you can call Douglas County Fire District No. 2 at 541-673-5503. Douglas County Fire District No.2 has removed the District wide burn ban that has been in place since June. Although weather conditions have brought about cooler temperatures and increased moisture, we urge the public to use extra caution when burning and to comply with all applicable burning regulations. Residential (Backyard) burning includes DRY yard debris, trimmings and clippings only. The burning of standing berry vines, grass or weeds, paper, wood products, plastics, auto parts, tires, wire insulation, household garbage, construction materials, materials from land clearing or other non-yard debris items is prohibited. Backyard burning may not be done on another person’s property or on vacant lots. Backyard burning is only allowed during daylight hours and shall not be conducted within 50 feet of any structure or other combustible material or property line. Clearance from structures and other combustible materials may be reduced as follows: Not less than 15 feet when burning is conducted in an approved burning appliance such as a burn barrel, or not less than 25 feet when the burn pile size is no larger than 3 feet in diameter x 2 feet high. Fires shall be supervised (direct line of sight) by an adult at all times. Tools and/or garden hoses to control or extinguish the fire must be available on site at all times. A permit from Department of Environmental Quality (DEQ) is required for Industrial, Commercial, Construction Waste, Demolition Waste, and Slash Burning. To request a residential burn permit in Dixonville, Green, Melrose, Winchester, Wilbur, Garden Valley, Umpqua, and Calapooia please call (541) 673-5503 during business hours 08:00 a.m. to 12:00 p.m. and from 01:00 p.m. to 05:00 p.m., Monday through Friday, or stop by any of the DCFD2 fire stations. As hunters gear up for the opening weekend of deer season, the Douglas Forest Protective Association would like to remind all forest users to be cautious in wildland areas as fire season remains in effect. Fire officials say that it is important to know what fire restrictions are in place before heading to the woods and notes that specific fire restrictions vary between each ODF/Association district and National Forest lands. Smoking is prohibited in wildland areas, except within vehicles. Each vehicle traveling in wildland areas must have a shovel AND a 2 ½ pound or larger fire extinguisher or a gallon of water. ATV’s and motorcycles are required to have a 2 ½ pound or larger fire extinguisher. Campfires, warming fires, and cooking fires are only allowed within DFPA designated campgrounds. Portable cooking stoves using liquefied or bottled fuels are allowed elsewhere. DFPA Designated Campgrounds include: Cavitt Creek, Eagle View, Lone Pine, Millpond, Rock Creek, Susan Creek, Tyee, Amacher Park, Douglas County Fairgrounds, Pass Creek, Stanton Park, Chief Miwaleta, & Whistlers Bend. The use of chainsaws is allowed before 1:00 p.m. or after 8 p.m. Each saw must have a shovel and an 8 ounce or larger fire extinguisher. A one hour fire watch is required once the saw is done running for the day. Fireworks, exploding targets, tracer ammunition, and sky lanterns are prohibited. In addition to DFPA’s Public Use Restrictions, private landowners may have additional fire restrictions or closures on their landholdings. Hunters and other forest users are urged to check with the landowner for the location they plan to recreate on to see if any additional closures or restrictions are in place through the landowner. DFPA wishes all hunters a safe, productive, and fire free hunting season. 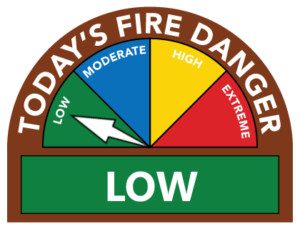 The hot, dry weather, along with an increase in recent fire activity has prompted the Douglas Forest Protective Association to increase the fire danger to “HIGH” on all DFPA protected lands effective immediately. The Industrial Fire Precaution Level will remain at IFPL 1 and Public Use Restrictions, which restrict or prohibit certain fire prone activities, remains in effect and unchanged. For a complete list of public or industrial fire restrictions, visit www.dfpa.net or call 541-672-0379. Fire season remains in effect for all areas of Douglas County Fire District No.2. This includes Dixonville, Green, Melrose, Winchester, Wilbur, Garden Valley, Umpqua, and the Calapooia area. The hot dry summer and lack of noticeable rainfall has left the vegetation in our area still very dry. The moisture level is extremely low and the continued elevated temperatures during the day create prime conditions for fires to start and spread. The use of a chainsaw is allowed before 1:00 p.m. or after 8:00 p.m. and the mowing of dry grass is allowed before noon or after 6:00 p.m.